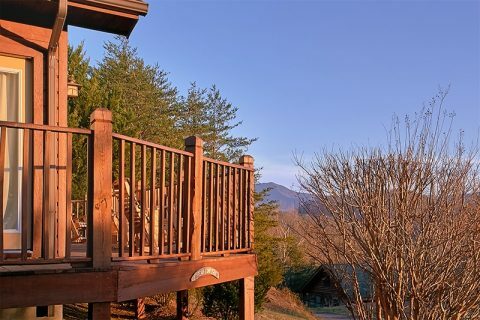 "A Dream Come True" is an excellent 2 bedroom chalet that sleeps up to 6 guests in the Smoky Mountains of Tennessee! 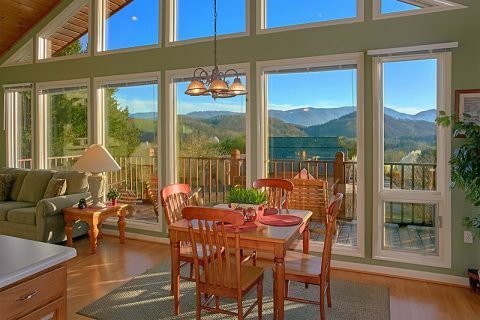 Not only does this vacation rental boast a spectacular mountain view, but this premium lodging also offers guests top-notch amenities and a great location near the region's top attractions. 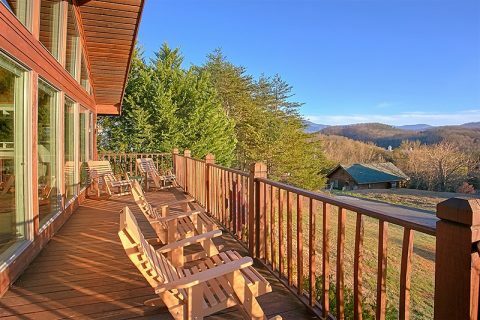 After a long day of enjoying the Smoky Mountains, you'll be glad to return to this cozy rental home that's only minutes away from all the action. 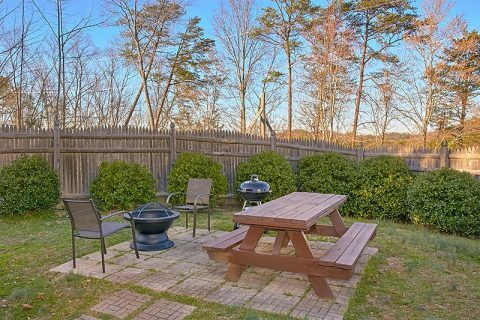 Whether you'd like to sit back in a porch rocker or sink into the bubbling waters of a hot tub, your 2-bedroom home comes complete with everything needed to enjoy a vacation. 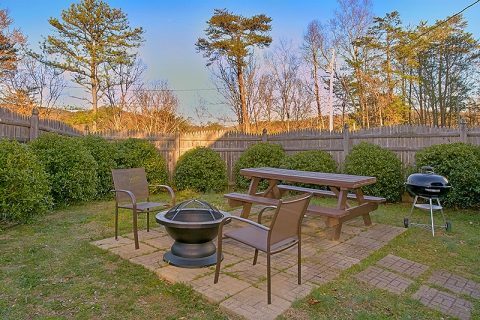 If you look forward to spending time in the great outdoors during your stay, this rental comes complete with a large yard area, charcoal grill, and picnic table for enjoying a cookout. 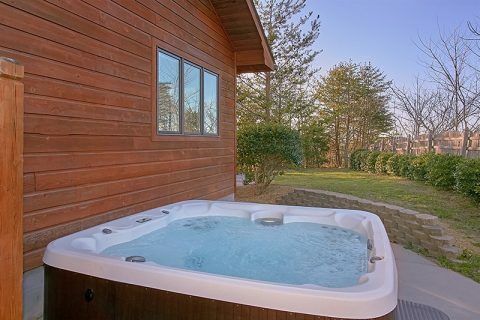 Be sure to rest your weary bones in this rental's 6-person hot tub! 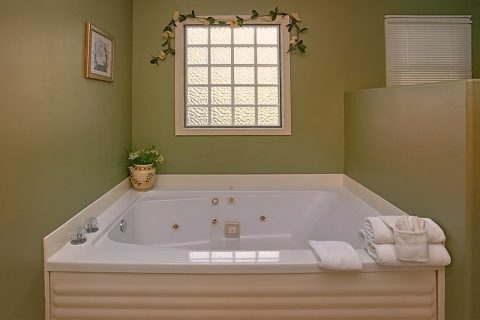 There's plenty of comfortable space for relaxing inside as well. 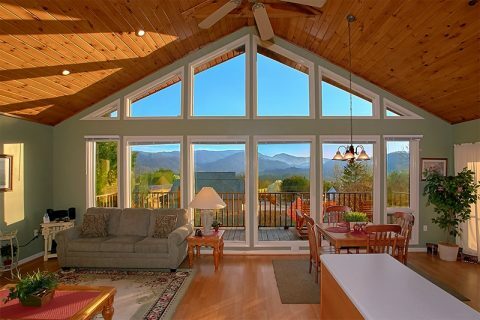 In the spacious living area, everyone can gather around for a fun movie night on the flat-screen television near the gas fireplace. Better yet, the living area offers large picture windows that showcase this vacation home's scenic location with mountain vistas. 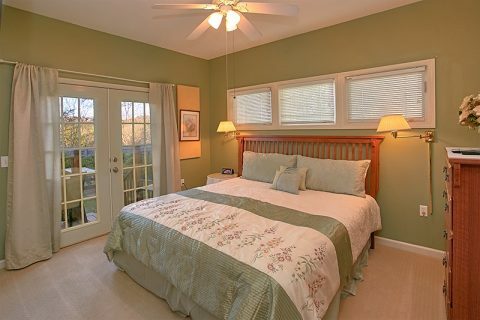 For getting a great night's rest during your vacation, you can look forward to retiring in one of this rental's 2 king-size bedrooms. 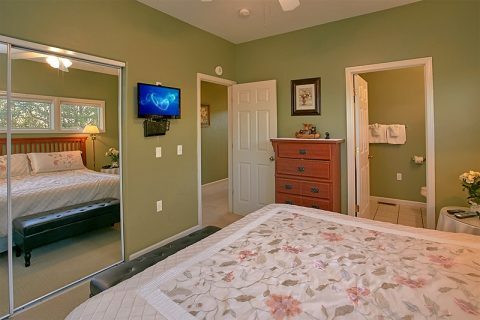 Both of these rooms feature a king bed, dresser, flat-screen television, closet, and a full bathroom. 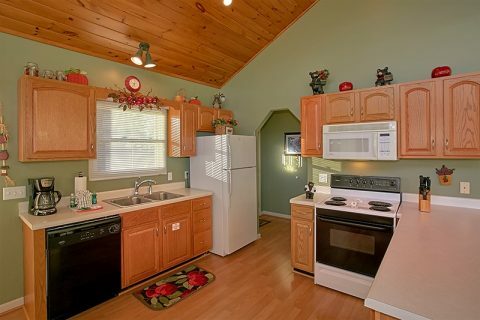 Better yet, one of these rooms comes complete with a romantic jacuzzi tub. A sleeper sofa in the living area allows this rental to sleep 6 guests in comfort. 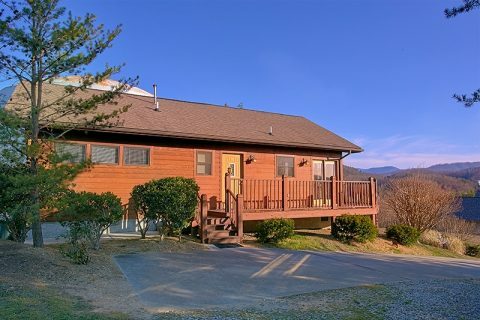 Your cozy vacation home also provides a paved driveway, WiFi, and a washer and dryer for guests to use during their stay. 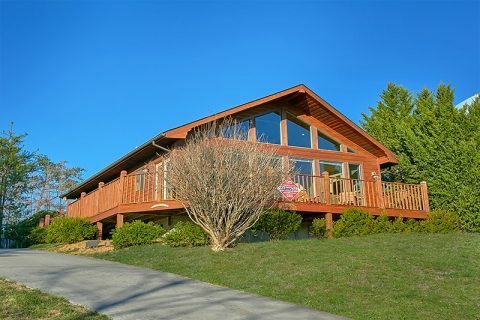 Reserve your 2-bedroom chalet with Cabins USA Gatlinburg today to earn a special 15% discount! Save on your vacation now and start planning a terrific getaway with your family and friends!